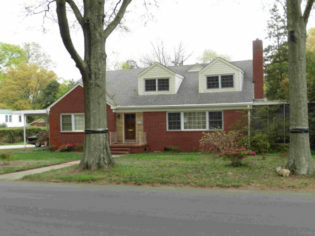 Built in 1953 – 54 for Novella McCrorey Flannagan, daughter of JCSU president Dr. H.L. McCrorey who developed the neighborhood. She became a valued part of the New York City music scene, leading the Mt. Morris Music School in Harlem during the 1940s and early 1950s, whose board included the famed singer Marian Anderson. When Novella’s father passed away, she returned to Charlotte to handle the sales of McCrorey Heights. Once that work was largely complete, neighbors recall, she returned to New York. 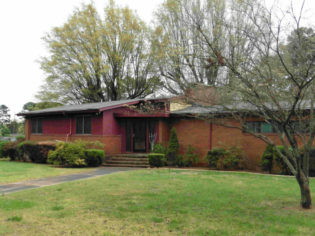 The house is architecturally notable as an early and sophisticated example of the Ranch style. Built in 1952 for Cora Tate Booton, then a widow and a teacher at Isabella Wyche School. She and sister Aurelia Tate Henderson, who also lived here for many years, belonged to one of Charlotte’s most important African American families, that of turn-of-the century business and civic leader Thad Tate. Cora and her husband Ray A. Booton, Sr., raised son Ray A. Booton, Jr (February 15, 1920 – August 30, 2009), who helped integrate the police force in the 1940s and Charlotte’s public golf course in the 1950s. William H. Greene bought the house from the Tates in the early 1990s and lived here into the 2010s. An educator and fundraiser, his career included a stint as president of Livingstone College, the flagship educational institution of the A.M.E. Zion denomination. His wife Dr. Ruth L. Greene, Distinguished Professor of Psychology at JCSU, won a national reputation for her expertise on African American families and education. 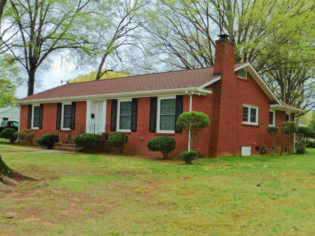 Built in 1959, this was the home of distinguished educator Leland S. Cozart during the last two decades of his life. He served as the first black president (1932 – 1964) of Barber-Scotia College in Concord, North Carolina, the South’s leading Presbyterian college for African American women.